"...He proved me right and Opera in Concert is about to celebrate its 40th Anniversary with a magnificent season introducing a truly daring artistic program of Britten's GLORIANA, Rameau's HIPPOLYTE ET ARICIE and Verdi's STIFFELIO and a roster of Canadian artists of wide appeal. As a stage director, Guillermo Silva-Marin has been equally successful. His debut with Opera McGill directing Ravel's L'ENFANT ET LES SORTILEGES was a marvel of inventiveness and pleasurable imagery. He excels at making a simple theatrical statement read with accuracy and clarity. It is with much pride that I have seen the young singer acquire administrative acumen and transform himself into an artistic force in our community. For more than three decades Guillermo Silva-Marin has been a major contributor to the growing popularity of opera and operetta in Canada. 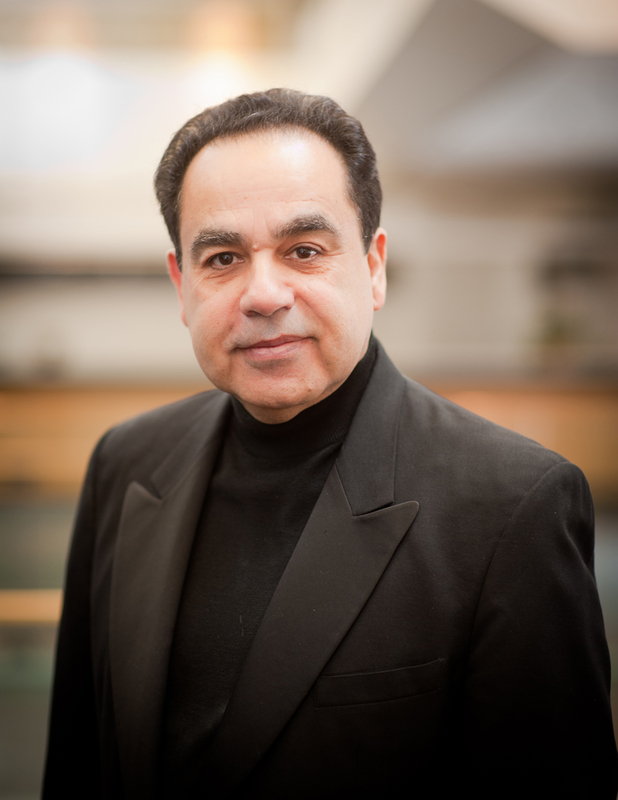 His accomplishments and current responsibilities include not only his admirable directorship of Opera in Concert but also his positions as Founder and General Director of the Toronto Operetta Theatre, and Summer Opera Lyric Theatre and Research Centre, all dedicated to innovative programming and the advancement of the Canadian artist." Two important World Premieres have claimed Guillermo Silva-Marin recent attention: EARNEST, The Importance of Being by Victor Davies and Eugene Benson in 2008 and Charles Wilson's KAMOURASKA in 2009. His penchant for innovative artistic programming has taken him to a diverse gamut of styles in daring productions of Gonzalo Roig's Cuban zarzuela CECILIA VALDES, Francisco Barbieri's EL BARBERILLO DE LAVAPIES, Kurt Weill's LADY IN THE DARK, Imre Kalman's THE GYPSY VIOLINS and Leonard Bernstein's CANDIDE. 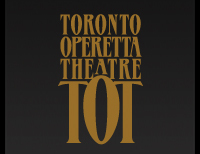 Founded by Mr. Silva-Marin in 1985, he is the continuing General Director of Toronto Operetta Theatre. His directorial credits with the company also include beloved masterpieces DIE FLEDERMAUS, THE MERRY WIDOW, DER ZIGEUNERBARON and THE CZARDAS PRINCESS among dozens of productions he has brought to the stage. Mr. Silva-Marin became General Director of the prestigious Opera in Concert in 1994 and under his leadership, the company has presented such works as LA SONNAMBULA, MIGNON and LUISA MILLER. Since 1986, summers have been kept busy by a pet project, Summer Opera Lyric Theatre and Research Centre. Summer Opera Lyric Theatre has brought together artistic teams including Rosemarie Landry, Catherine Robbin, Wayne Strongman, David Speers, Marshall Pynkoski, the late Richard Bradshaw, Stuart Hamilton, William Litler and many others for its summer opera workshops. Talented young artists such as Russell Braun, Jackalyn Short, Nora Sourouzian, Joseph Kaiser, Frederique Vezina, Renee Lapointe, Joshua Hopkins, Jonathan Carle and Michele Bogdanowicz were featured in works as varied as Ravel's L'ENFANT ET LES SORTILEGES, Offenbach's ORPHEE AUX ENFERS, Verdi's FALSTAFF, and the Toronto premiere of Carlisle Floyd's SUSANNAH, as well as productions of LA BOHEME and CARMEN. During his career, Mr. Silva-Marin has staged a significant number of operas and operettas including Donizetti's ELIXIR OF LOVE, Rossini's BARBER OF SEVILLE, Handel's ALCINA, Mozart's THE MAGIC FLUTE, COSI FAN TUTTE and DON GIOVANNI, as well as Lehar's THE LAND OF SMILES, Offenbach's LA VIE PARISIENNE and Strauss' WIENER BLUT with companies including the Toronto Operetta Theatre, Summer Opera Lyric Theatre, Sault Ste. Marie Opera, Opera de San Juan, Memorial University and the Aspen, Huntsville and Courteney Music Festivals. After a successful CARMEN FLAMENCO! with Arte Flamenco! Spanish Dance Co., he conceived and directed PASION FLAMENCA with the same company in October 1997. Mr. Silva-Marin debuted for Opera McGill as stage director for Ward's THE CRUCIBLE. His LE NOZZE DI FIGARO received critical acclaim in Montreal, as well as his staging of Weisgall's SIX CHARACTERS IN SEARCH OF AN AUTHOR. After 8 years as staged director and dramatic instructor at McGill, he returned there as Interim Co-Director of McGill Opera in 2006. He made his stage director debut with Cork Opera, Ireland in 2007 for their THE MERRY WIDOW while completing the preparation for the international launching of Vivaldi's CD recording of LA GRISELDA in 2008, the third CD recording for Opera in Concert. Porto Rican de naissance, le ténor Guillermo Silva-Marin est bien connu tant pour ses performances au Canadian Opera Company que par les fonctions de Directeur Génèral qu'il occupe à Opera in Concert et au Toronto Operetta Theatre. De plus, M. Silva-Marin a été engagé par New York City Opera, le Metropolitan Opera, Carnegie Hall, le Palacio de las Bellas Artes a San Juan. Il compte des présentations avec les orchestres symphoniques principaux du Canada, ayant travaillé sous la direction des chefs Mario Bernardi, Sergiu Comissiona, Imre Pallo, Raffi Armenian, Victor Feldbrilll, James Conlon, Leopold Hager et Margaret Hillis. Sa Carrière d'envergure inclut egalement des présentations spéciales à Mexico, au Festival d'Ottawa, au Festival de Musique d'Aspen at au Festival Casals dans son Porto Rico natal. Actuellement, M. Silva-Marin est le directeur general du Toronto Operetta Theatre, Opera in Concert et Summer Opera Lyric Theatre au Toronto mais a fu professeur au programme d'Opéra de la Faculté de Musique de l'Université McGill.